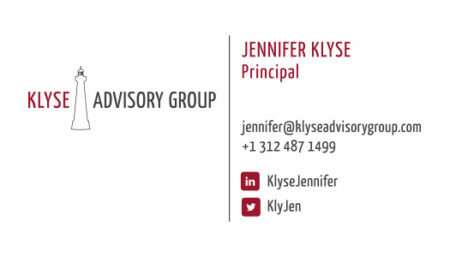 Klyse Advisory Group is a professional services firm based in Chicago’s Uptown neighborhood. Jen was looking for a logo to be developed for her company. Following the logo, branding was established to carry out business cards, infographics, word and powerpoint templates.